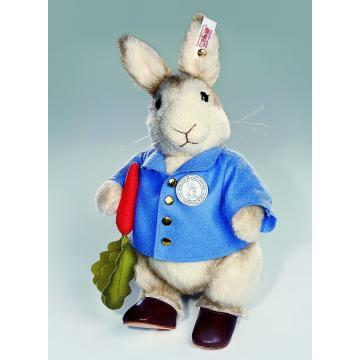 In 2002 it was the 100th Anniversary of Beatrix Potters Peter Rabbit and to celebrate Steiff created a remarkable, 27cm tall, Alpaca, commemorative Peter Rabbit Teddy. Peter Rabbit is fully jointed and sewn from a decadently dense alpaca with acrylic whiskers and gleaming glass eyes. 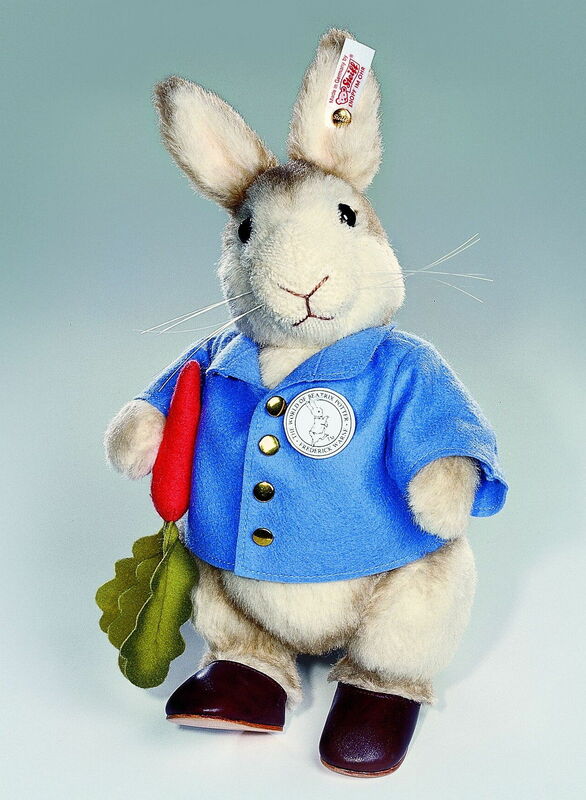 He wears his unmistakable blue coat, this one is crafted from the finest wool felt with brass button trim and features the well known Beatrix Potter / Frederick Warne logo. 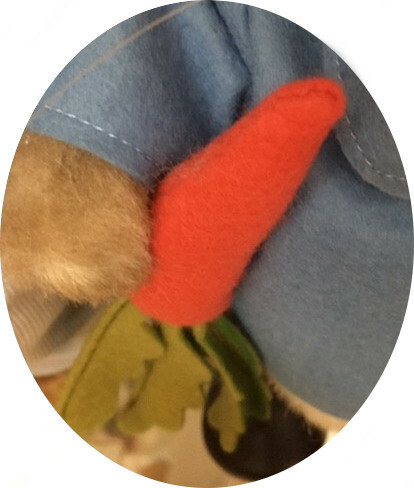 Smart genuine leather slippers encase his feet, whilst one paw is kept busy with a life-like wool felt carrot. This much loved Rabbit is a UK and Ireland Exclusive for te year and will come to you boxed with his numbered certificate of authenticity (attached to his arm). He would be the pride of any Beatrix Potter collection.